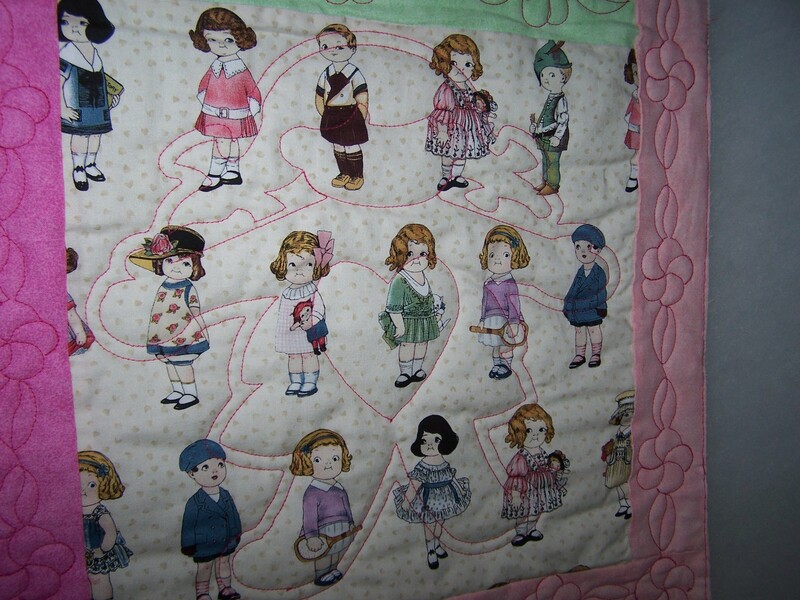 “Too Cute!”, says the owner of this quilt. It’s for a darling little girl. Hope she loves it. It was FUN to quilt. 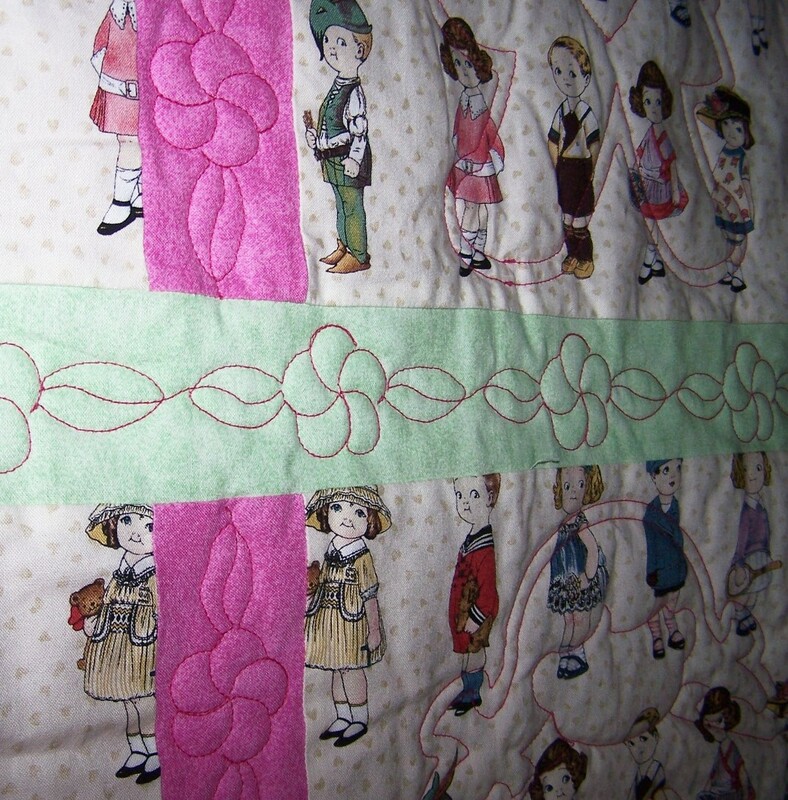 CONTACT NAP Quilting for your quilting! 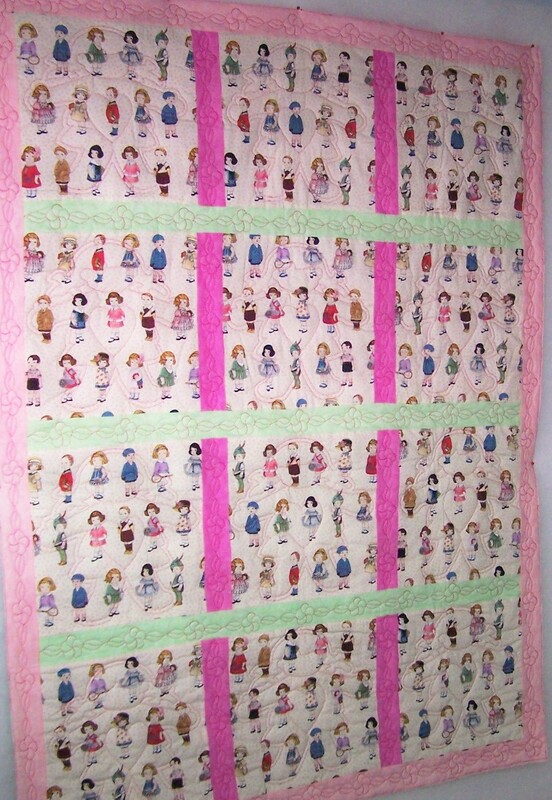 Don’t you just love the cute dolls on the blocks with the great fabric and the cute flowers in the sashing below!